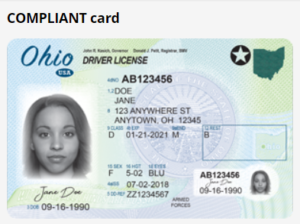 The new procedure to obtain a new or renewal Ohio Driver’s License or ID card is part of enhanced security and identity protection and will comply with federal regulations. You’ll still go to your Deputy Registrar office for new and renewal licenses and ID’s but you will have to choose, at that time, if you want a “compliant” or “standard” license or ID. Each option requires different documentation. 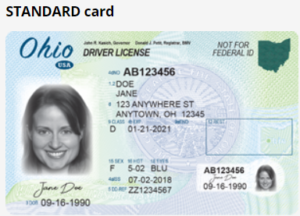 Instead of getting your Ohio license or ID on the spot, they will now be mailed to you within 10 business days. Don’t worry, they will provide a temporary document to use until you get the original. Meets national travel security requirements – a federally Compliant form of identification will be required to fly commercially or to access federal facilities or military bases. Does not meet national travel security requirements. A Standard card will need to be used in conjunction with a passport or other acceptable documents approved by the Transportation Security Administration (TSA), in order to fly commercially or to access a federal facility or military base. www.tsa.gov/travel/security-screening/identification. Federal regulations go into effect October 2020 so get an early start. 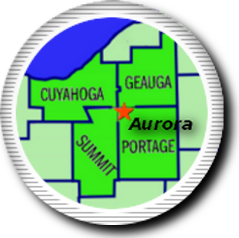 Refer to the Ohio Bureau of Motor Vehicles for in depth details, required documents and more.